With ServiceTrade you have the option to cancel a service, an appointment, or a job. Canceling a job will close the job and will cancel all the services and appointments associated with the job. Keep this appointment's services on this job; All open services on this appointment will be moved to an unscheduled appointment on this job. Remove this appointment's services from this job; All open services on this appointment will be removed from this job. They will be available on the job's location and can be added to other jobs. Cancel this appointment's services; Cancel all the open services on this job. They will no longer be available on the job's location, and they cannot be added to other jobs. 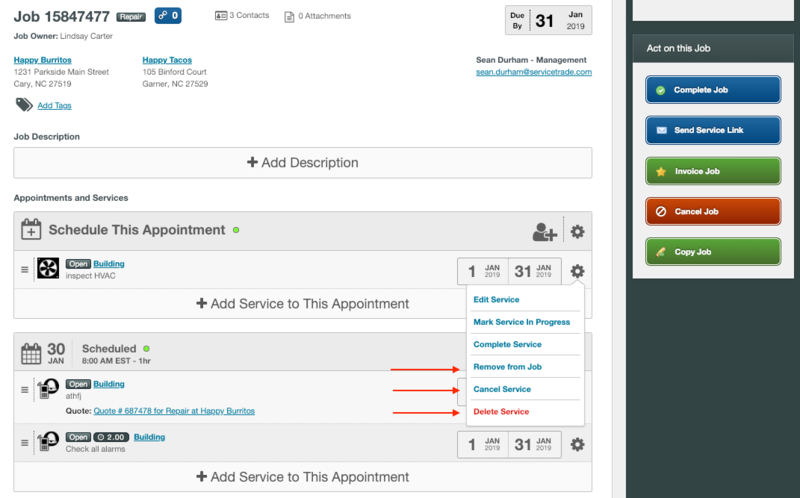 With individual services you have the option to remove, delete, or cancel the service. 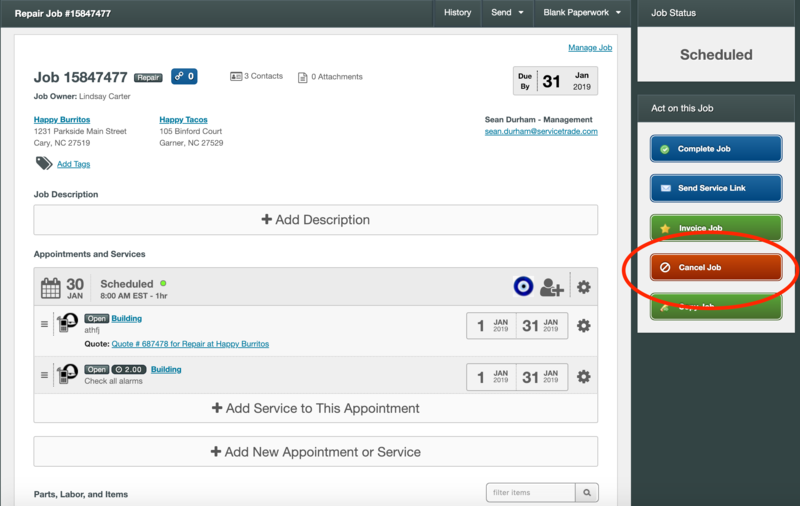 Something to note is that canceling a Service on an Appointment will leave the option to reopen that Service. Deleting or removing will not.